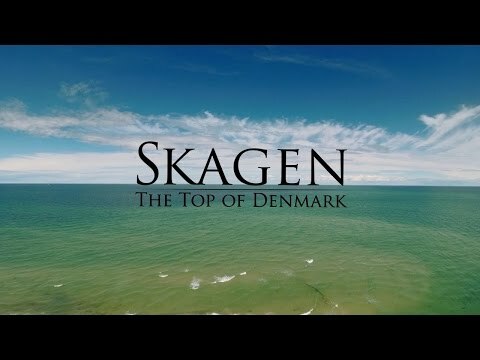 Skagen has a magical quality and the air shimmers with a certain light you cannot find other places in Denmark. Skagen is the northernmost town in Denmark and has an amazing light which has inspired many Danish painters. In Skagen, you can discover unique nature, beaches and the renovated Skagen museum where you can see works by the 'Skagen painters' Michael and Anna Ancher and P. S. Krøyer. The nature around Skagen is a quite different experience with the meeting of the seas the Baltic and the North Sea just north of Skagen at the Skagen Odde peninsula. The areas Skagen, Hirtshals, Hjørring, Løkken, Lønstrup, Frederikshavn, Sæby and Tversted in North Jutland are called the Top of Denmark. The unique light combined with the natural scenery and the multitude of white and sandy beaches create a very special atmosphere in the town. When you go to Denmark we recommend you to visit Skagen and the Skagen Odde peninsula (Grenen), Denmark`s northernmost town and beach. Skagen Museum is one of Denmark`s most well-known museums because of the artists Anna and Michael Ancher and P.S. Krøyer. Råbjerg Mile is the largest and most impressive dune in Denmark. From the top of the dune, you have an incredible view over the area, which is a bit like a lunar landscape in miniature. Milen is about 1000 meters on each side, contains 3.5 million m3 of sand, up to 40 meters high and covers an area of approximately 2 square kilometers. Every year the dune wandering 15 meter to North East. It is absolutely recommended to visit the dune(in the summer), and one thing is for sure. You will have to empty your shoes for sand afterwards. The buried church is a result of natural forces. Visit the charming fishing harbour in Skagen. You will find Fårup amusement park close to the beach and yet all the way in the forest, you will find the amusement park, Fårup Sommerland. The easiest way to find brands, Danish souvenirs and famous designs. Salling is a department store placed in the centre of Aalborg.